At a 2010 open house reception for my downtown Austin gallery, Austin Details Art + Photo, the former owner of Jaime’s Spanish Village found his way over to me to ask about my Vanishing Austin photography series. “Did you get Jaime’s?” he wanted to know. Yes, in fact, I did, thanks to a call on its closing day from KXAN’s Josh Hinkle. A video and online story, Last Call at Jaime’s Spanish Village, aired on KXAN on its last day, after all 79 years of serving up simple Mexican fare and local Red River soul. 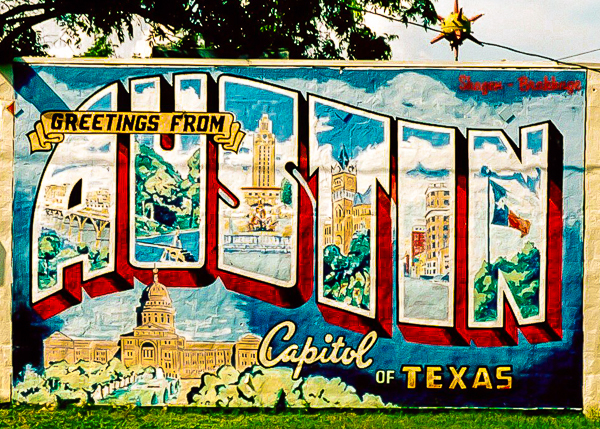 Which Austin landmark do you miss the most? See more of what’s vanished in Austin (and there’s more than you might think) HERE. Shop with PayPal: There are nearly 100 photographs in my ongoing Vanishing Austin series; many are lost, but many are survivors still. Admire them all in a slideshow, HERE. Prints start at $35. What kind of city will Austin be? What Does It Take To Vanish?